Imagine your community losing nearly a third of its population between 1998 and now. Imagine a place where in the same compressed period of time, the economic underpinnings collapsed to the point of hopeless parents wanting only to prepare their children to leave town. Imagine your community experiencing a 55 percent increase in poverty between 2000 and now, with nearly a third of your friends and neighbors suddenly living in poverty. Imagine the havoc sown by the speed of this transformation. This is the case in Las Animas, Colorado, and this rapid decline reflects a shifting pattern in the dynamics of rural poverty that is playing out throughout the rural United States. Since 2000, the triple whammy of global economic recession, disruptive weather patterns, and a broad retrenchment in government spending have sped up and complicated the challenges that rural communities face. As the twenty-first century arrived in Las Animas, low commodity prices and severe drought drove farmers to sell their water rights to cities and speculators. As more farmland lay fallow, business dried up for agricultural processing facilities and equipment dealers. Government cutbacks led to the closer of a Veterans Hospital and then the prison facility that took over its facilities. With less local spending power, Main Street grew full of shuttered retail spaces. A child entering kindergarten in 2001 would live through all this change by high school graduation. Concentrated rural poverty like what Las Animas is experiencing is becoming more common far beyond regions with concentrated persistent generational poverty like Appalachia and the Mississippi Delta. Researchers at the USDA Economic Research Service identified this disturbing pattern in the distribution of rural poverty by sorting non-metropolitan counties like Bent County by their “rurality”—how near to metropolitan areas and how urbanized the population settlement patterns. 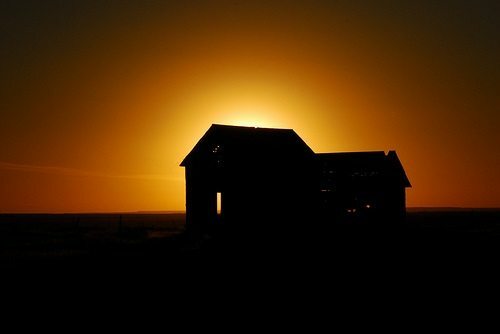 They discovered that the more rural the county (like Bent County), the more likely the rate of poverty is high, and furthermore that place-based poverty is a self-reinforcing phenomena. As USDA economist Tracy Farrigan notes, “People are moving to areas where they can afford to live, which are areas with less support for them. It’s kind of a cycle. So the places are poor, and the people are poor”…increasingly and persistently.